While in such metropolises as New York or Istanbul, Uber is most famous for hacking the commercial taxi system, it has hacked something much bigger in places like Jeddah, Kingdom of Saudi Arabia. In KAS, it is still unlawful for women to drive. Women who have a driver are lucky, but ones who don’t have to rely on cabs. Cabs, however, do not always stop for ‘unaccompanied females’—females without a male guardian— waving their hands on the streets, and when they do, it raises the question of security and driver’s intention on the part of the women. Since Uber this problem has been partly solved. The review system, the 24/7 access, and the ability to request a cab online solve the problem of security, but more importantly it hacks the problem of violation of a woman’s basic right to transportation. Uber surely did not have the intention of solving the problem of wrongly interpreted Islam and resulting gender inequality, but this solution came in the form of an adjacent benefit to an out of the box business thinking. UBER has made the headlines in the last few weeks, yet, sadly not in praise of changing the rules of the game in urban transportation or for its unintended but adjacent benefits. It has made the headlines due to the resignation of its CEO Travis Kalanik, allegations of a culture of sexual harassment and office bullying, and a renewed but this time much more aggressive discussion about its very business model. If allegations of sexual harassment and bullying are true, they should be dealt with sternly and immediately. But others, including Benjamin Edelman, have suggested that Uber’s problem is not owing bad leadership. The problem, they say, is Uber itself: it is erected on law breaking and its growth is rooted in illegality. Therefore, they argue, changing leadership won’t make a difference; rather, regulators should punish its business model and shut down Uber itself. This is an argument that we should approach with caution and not in haste, because Uber, like other disruptive start-ups, may signal what the future of problem solving, and hence public good-making will probably look like more and more. In fact, what start-ups like Uber have done is not just hacking the sector they operate in; they might have indeed hacked the theory of public good. According to the classical political theory and classical economists, public good is a tough task. First, it is struck by the free-rider problem. Second, it needs a great number of contributors. That need in turn creates other problems: how to find that great number of contributors (the public generally is unaware of or indifferent to public good, such as water level in a lake) and the transaction costs that great number of contributors would come with, making public good something unprofitable. These theories then conclude that the state is and must be the only agent that is up to this task. The argument surely has a moral component: maximizing the welfare of citizens regardless of profit, the state is (or, must be) a benevolent actor. The mid-20th century saw the rise of other ‘benevolent’ actors that would from then forward keep the state’s company in this difficult task: NGOs and civil society, IGOs (international governmental organizations), like the UN, and INGOs, transnational civil society. These designated actors of public good, however, have not so far done an impressive job in producing public good, domestically or globally. Civil society has limited resources and no authority. States and IGOs, on the other hand, are defined by ideology as much as, if not less than, benevolence. States, for example, do not stand at an equal distance from every citizen: religious, ethnic, racial, and gender differences still play into how close a citizen can get to its state. Even in developed Western countries, female citizens have it harder than male citizens, and black citizens have it harder than white citizens. The literature on IGOs, on the other hand, is yet to decide whether IGOs, especially their main development tool, foreign direct Investment (FDI), contribute to global public good (e.g., fighting poverty) or further hamper it. Another issue with states and IGOs is that they are simply not very good at execution. They care more about outputs (training or workshops) than outcomes (tangible change) and they barely include the voices of people who are hit by the problem —the unemployed youth or the poor— while defining the problem and defining the solution— poverty or youth economic participation. Yet, most importantly, marked by the heavy machinery of bureaucracy, the state (on the same token IGOs) is not a creative agent. By definition, on the contrary, the nation-state represents the status quo. There is more. In contemporary society, problems have already become too big, too diverse, to globally connected for any centralized mentality of governance to solve. With the turn of the millennium a new set of actors have emerged, of which success and income generation was based on their problem-solving ability: Start-ups and social entrepreneurs. Start-ups are good at problem solving, which also potentially situates them as the new agents of public good production, due to four key reasons. For one, differing from the state’s top-down approach, the founder comes from an organic background; that is, the founder either is someone hit by the problem, or someone who is an expert at it. Hence, their approach to problem and solution emerges not top-down but from within everyday life. In fact, to apply to any incubator or to pitch an idea to any investor, a start-up has to first define, in one sentence, what problem it solves, not the customer segment or the product. Second, this organic background allows them to identify the pitfalls of a given existing sector and approach the old problems of that sector in a novel, disruptive way. In fact, after defining the problem it solves, a start-up has to define how it solves that problem differently, or how it disrupts the system. Third, starts-ups can overcome the free-rider problem. They can not only generate and connect a great number of contributors (users), but they can do that with little cost. When a problem is global in scope, it is better for start-ups, because they can gather and connect even greater number of interested people from across the world. Forth, where as the state spends resources to problem-solve, start-ups generate income by solving problems. This is where we need caution before requesting a government intervention to shut down Uber. 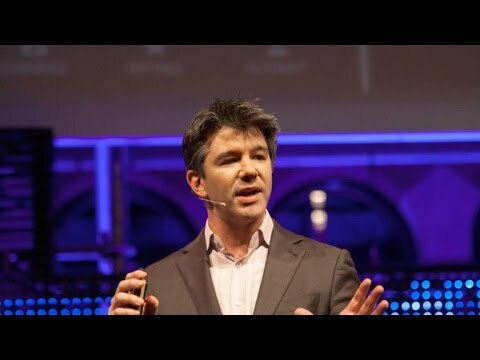 Such an action would not only punish Uber’s business model, but the very ‘business thinking’ that underpins the minds of young start-ups; a thinking that is eradicated on approaching a problem with a fresh set of eyes, which intrinsically requires them to think beyond the status quo, and at times this would also include law. This request would, instead, force entrepreneurs to not dare stepping out of the box even though the box of status quo is what generated the problem in the first case, because it is not nimble, flexible, or adaptive enough to constantly evolving and intensifying problems. Such a request also romantically assumes an ideal world, where the law is always just and the best. However, not too long ago it was considered unlawful and utterly unethical for women to vote, or blacks to study in white schools. Edelman, in his July HBR piece, condemns Uber for defining itself as “super-pumped,” “always hustlin’,” and “bold” but not meriting a footnote to respect for the law. Jo Ann Robinson, who stood up against the status quo in a bus or Martin Luther King were also bold and super-pumped and they hustled. They, however, did not bend down to law; rather they changed it. With that change, came a better world. Edelman uses the example of Napster to demonstrate that closing down an innovative company is not as bad as it sounds, for after Napster, the same innovative and smart service for music was provided by law-abiding versions, such as Pandora or Spotify. But, there is a counter-example showing what opportunities can arise for national economy and for the public good if the government was to absorb innovation that has proven to be useful rather than shutting it down: the dolmus, shared taxis that has a set route and that picks up wavers from any spot throughout that route, in Turkey. Dolmus first emerged in the 1930s in Istanbul following the 1929 world economic crises. Armenian and Jewish Turks started to share cabs to share expenses on their commute to their stores in the Grand Bazaar from Taksim. A Turkish cook then made a new business out of this new problem and started taking more than one passenger into one single cab. He became the first dolmus driver. Others followed suit. Yet, for 30 years, the dolmus was seen as an illegal enterprise, a city rat. In the 1960s, the state finally recognized the dolmus and made it legal. Not only that, soon after, TOFAS, a Turkish car company designed the first actual dolmus— before then dolmus drivers would custom tailor regular cars by adding additional seats to them. Although 30 years late, by absorbing this new solution, the government not only helped to institutionalize a much-needed and everyday life-rooted solution, but it also enabled national automobile industry to have a new product and created a new culture that would become part of any modern Turkish city. There is then an alternative to shutting down what challenges the status quo, even law, when the state deals with innovations. The state can use such moments as an opportunity to recognize where the existing system fails. In the case of Uber, for example, the government can ask such questions: what is inefficient about the commercial taxi system and more broadly the urban life I provide to my citizens? Do what I have currently helps to create sustainable cities and urban living? In any case, whether we like it or not, the future of problem-solving will look like what Uber has done more and more. As problems will further intensify and become more complex, where neither charity and public provision nor FDI can solve them, communities and people will seek new ways to address them, like Dolmus, like Uber, like Airb&b. This is not in any way to pick a side between Ayn Rand cult versus defenders of the state and the community, or between whether it is selfishness or altruism that should underpin human development and living. The state has pivotal functions and we need the state. The argument instead here is that we need caution before condemning ideas that solve public problems (problems of people) because they don’t fit with in existing regulations and that the unfit may in fact be what the system exactly needs. More importantly, we need to recognize that a new cultural mentality is emerging that underpins entrepreneurship and innovation. That mentality no longer sees atomistic individualism and profit as the wellsprings for innovative entrepreneurship. It still views individual as key to innovation, but gears innovation towards altruistic outcomes and adding value to society. This is evident not only in the West but also among Muslim Millennials. Take the Arab Spring. The data shows that in the aftermath of it and along with rapid state failure, Millennials have developed a stronger muscle and urge to contribute to their community. Most of these youth turn to social entrepreneurship where they can blend technology and innovation with problem solving as well as a hope for individual success. Development and public good are no longer limited to traditional stakeholders and their traditional ways of defining problems and solutions. For traditional stakeholders this means that they need to become more people and problem oriented and less system or status quo oriented. Neslihan Cevik is a Turkish sociologist of religion. Cevik completed her PhD at Arizona State University (2010). She then joined the Institute for Advanced Studies in Culture at the University of Virginia for her post-doctoral research. She is the author of Muslimism in Turkey and Beyond: Religion in the Modern World (November-2015,Palgrave MacMillan). Currently, Cevik is a senior researcher at SESRIC, Organization of the Islamic Cooperation. Her work on religion appears in CNN-Arabic, Daily Sabah, OrientXXI, Informed Comment, and Political Theology Today, and is translated into Arabic, French, and Turkish. Cevik helped found the firstpostcolonial studies research center in Turkey, PAMER, Uskudar University. An engaged social entrepreneur, Cevik also is the founder of Mline Fashion, a modest wear and lifestyle start-up company that seeks to encourage Muslim women’s economic and public integration.